On her many trips to Kenya she has been working to relieve the needs of children by promoting projects that support education, health and the relief of poverty. Her original visits were targeted at teaching sports to the children and sports leadership to teachers, including introducing the locals to ‘Bonnie Scotland’. 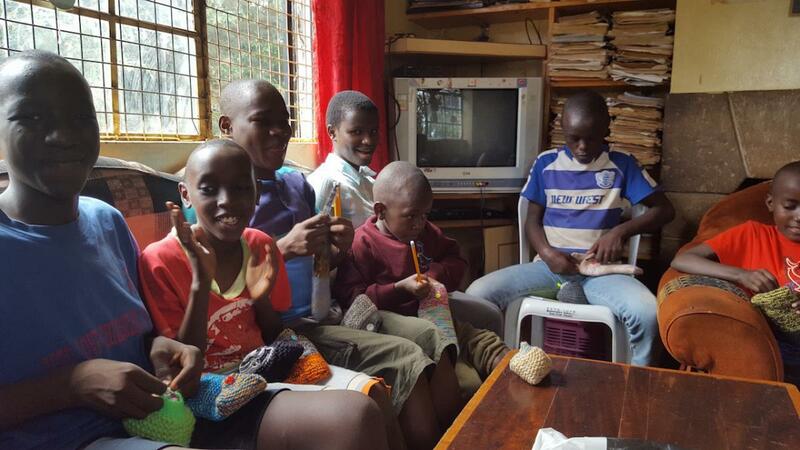 During her latest trip in May this year Moyra was able to provide much needed food supplies of maize and beans to schools in the Mwingi area as well as to 2 orphanages, all affected by the drought in Kenya. She engaged with girls of 12-14 years in Kimangaru primary who miss school days due to their monthly periods. By working with the local Rotary Club of Embu Moyra and her charity Scotland na Kenya – Pamoja for Children were able to obtain sanitary towel packages from the ‘Freedom for Girls project’ and carry out a training class with 60 girls telling them about the packages and how to use them. Moyra pictured below on the right also donated 48 baby packs to mothers in the local hospital who had given birth to their babies in the week she visited. The Local Rotary Club of Embu were contacted and have been very helpful in facilitating and carrying on several of the projects set up by Moyra such as those at Mwingi School. Lastly Moyra visited a variety of schools giving talks on Scotland, donating pencils and jotters and also assisting with special needs children teaching them some new crafts which will allow them to make goods for possible. If you think you would like to get involved with charity work or thinking of volunteering by helping your local or international community there is a project or activity to suit everyone. By volunteering with Rotary, you know that you will be changing people’s lives for the better.